“Getting firewood to make a meal, has just gotten as hard as finding enough safe water within a reasonable range of kilometres,” Mariam Mutimba, (47) of Mhembere village in Madziva, confides to Zim News during a recent visit to the area. Mutimba says it is now hard for women to find firewood, just like in many rural set ups in Zimbabwe firewood is the only source of energy. She explains that women in the area have to wake up as early as 4 am, for a more than 20 kilometre walk in order to access firewood, which will culminate in travelling the same distance back with a heavy bundle on head. “We just have to content with that, there are no other alternatives. It takes nearly 6 hours to get the wood at home, as firewood is no longer within a stone throw away from the village as was the case years back,” she says, with her tired eyes glued into the distance. Many rural areas in the country are yet to be connected to the national grid by the power utility, the Zimbabwe Electricity Supply Authority (ZESA). Be that as it may, even the connected areas are currently not guaranteed uninterrupted energy as the country is failing to generate enough power for its citizens, leaving it in a tricky situation of pinning its hope on energy imports. The country is generating less than half of the required national demand of 2 200MW, with the remainder coming from imports. In recent times, Zimbabwe experienced power shortages at its Kariba Hydro-plant hitting an all low of 285MW from 750MW after Zambezi Water Authority imposed a limit to water usage owing to dropped levels in the dam. This did not spare Zambia, analysts believe if fully harnessed, solar energy has the capacity to reverse the above scenarios and bridge the shortfall gaps. With threats posed by the climate change phenomenon to hydro power generation, calls being made to embrace renewable energy sources ideally solar. Zimbabwe has a geographical advantage, taking into account that the country is located in the Savannah region that receives plenty sunlight throughout most of the year. A renewable energy specialist Scott Memerty once told this reporter in an interview that Zimbabwe has 7 to 8 hours of usable sunlight a day which is however, not being fully harnessed. He said solar systems when fully enhanced can generate electricity for domestic, industry, and commerce, as well as for agricultural uses like irrigation and animal husbandry. Memerty blamed the slow uptake of solar systems to the prohibitive capital costs, which is beyond the reach of the majority, the poor. Meanwhile, Jephias Gwamuri, a renewable energy expert and former lecturer at NUST says an energy audit conducted by some experts him included, established that prior to 2010, Zimbabwean urban areas, on average, households in the high density areas were allocated 1.7kVA while those in the low density suburbs got13.5kVA. According to him, getting the solar system size, equivalent to 13.5kVA, which could power almost all of the modern day home electrical loads including iron and stove, calls for a very huge investment of nothing less than USD$22.000.00. Regional power reports have also shown that efforts to adopt solar systems to the fullest potential are being undermined by start up costs. The International Renewable Energy Agency also cited such high costs, and proposed a scenario in which the potential of renewable energy technologies is fully utilised though investment-cost reduction for renewable energy technologies, through localised production of equipment. 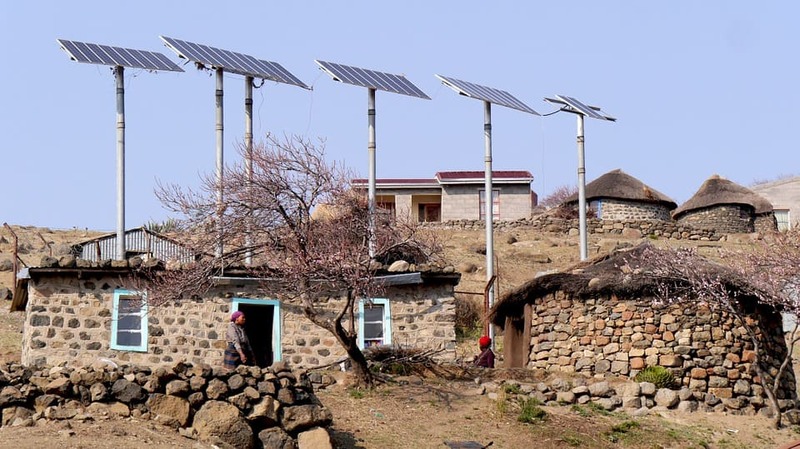 Gwamuri says commonly available solar systems such as the panel, inverter, and battery though widely viewed as ideal for rural households and have been adopted in some rural areas in the region have very limited applications like lighting, phone charging, radios, and small television sets. “The major drawback why people are not fully harnessing solar power is the prohibitive capital costs in setting up such systems. This has overshadowed both the lasting savings from free electricity in the long run, and environmental benefits of exploiting this source of energy,” he says. 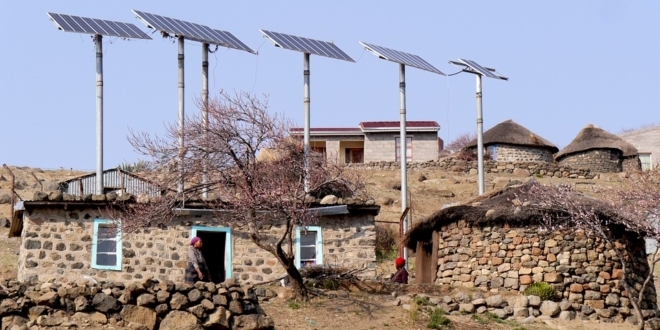 The energy expert adds that the government should create enabling environment through policies that makes it easy to import solar systems equipment, promote, and give incentives to Independent Power Producers (IPPs). “New energy policies should be endorsed that allow tax exemption and rebates or at least minimal taxes on equipment used in photovoltaic systems. In addition, policies that allow utility-interactive systems are needed to enable the purchase of surplus solar energy from users,” adds Gwamuri who is also a Ph.D. Research Fellow with the Department of Material Science and Engineering, Michigan Technological University. Solar systems can be tailor made, with sizes determined based on the average daily energy consumption of one’s electrical loads, and consumption may differ from household to household depending on both the number and the type of appliances per individual household. Meanwhile, according to the Zimbabwe Revenue Authority (ZIMRA) 15 percent duty is charged on the importation of solar systems products, the duty/ VAT calculated on the basis of Costs, Insurance and Freight (CIF) value of the imported goods up to the point of entry into Zimbabwe. The CIF value of the imported goods is an aggregate of the cost of goods, insurance, freight and any other charges incurred outside the country. A survey by Zim News in Harare has revealed that what is termed basic solar system’ that basically include a 400VA inverter, 85Ah battery, 100W solar panel, and a 15A charge controller, with a load rating of 8 hours, that can power TVs, laptops, LED lights (5W), phone charging, and radios, on the regional and local markets cost between US$550 to US$700, and is still beyond the reach for many, considering its limited applications as well. Currently, Zimbabwe and most countries in the region now depend from imports from those who have surpluses. The Southern Africa Power Pool (SAPP) is facilitating trans-border power trading. Countries like Mozambique, supplies 1,349MW to South Africa, 50MW to Botswana, 100MW to Zambia and some to Zimbabwe. According to the UN Environment Programme, Africa Environment Outlook 2 the availability of solar resources is not a factor undermining its potential use; instead, there are three factors determining uptake: the availability of efficient and low-cost technologies to convert solar energy into electricity and hydrogen, effective energy storage technologies, and high efficiency end-use technologies (Rogner 2000).